Low minimums, Fast turn-around, High Quality. Using just one skein of Bea-Ewe-tiful Bulky yarn, this cowl knits up in garter stitch in just a couple of hours! Instant project, instant gift, instant gratification. 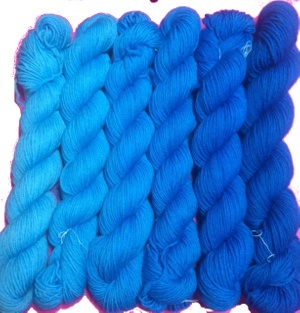 Choose from any color on the Dyed Yarns page. 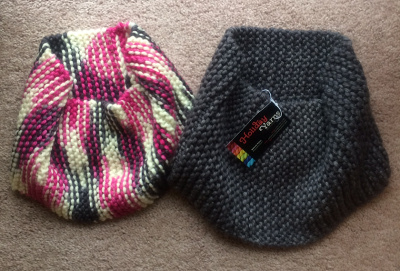 Shown in Black Jack (which tends to knit up as an argyle pattern) and Badger Black. Bea-Ewe-tiful Bulky is 100% Superwash Merino, and super squishy! 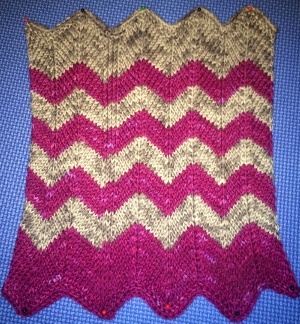 The simple pattern is free with the yarn. 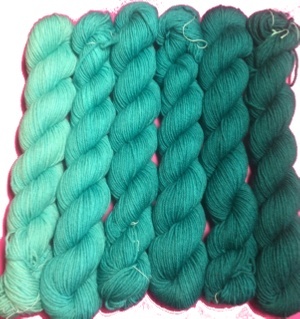 Gradient Sock Sets - 125 yards in each shade, 750 yards total! 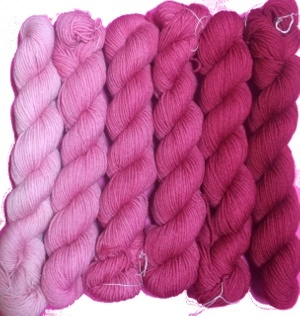 Choose a 400 yard skein from the Dyed Yarns page and make the popular and beautiful 'Joker and the Thief'. I'll make a gradient set for you! 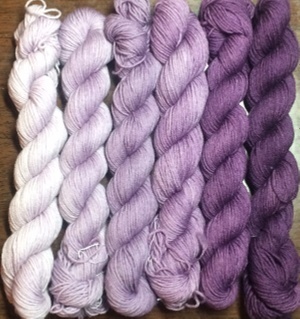 Supersheep DK yarn. 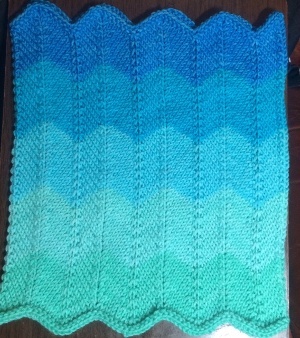 2 skeins makes 2 cowls! The 'Mirror Me' cowl uses just under 250 yds. 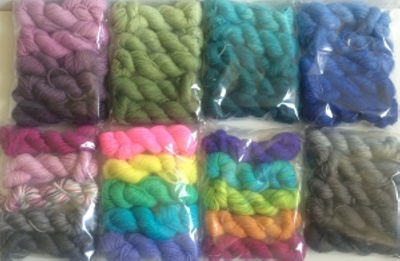 I've put together 5 skeinletts in 250 yards of Gradients or Rainbows. Kit comes with the pattern. On Holiday celebrates some of the most loved and most knit patterns from the Holiday Yarns collection. 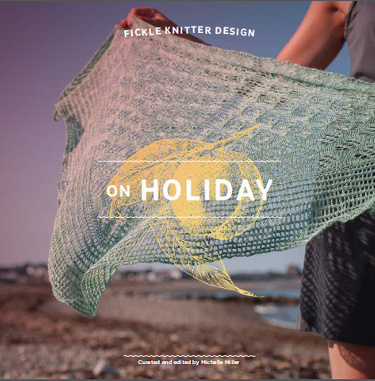 On Holiday showcases various designers and features 11 patterns knit with Holiday Yarns yarn: 90 Degrees; Holly and Ivy; Artemis; Beaded Cuff Mittens; Flyleaf; Hollyhock Wrap; Jellyfish Socks; Levada; Lochness; Nora's Argyles; and Sun in Glory.